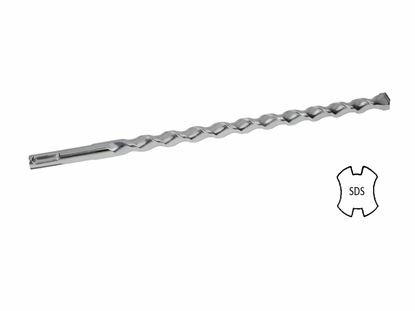 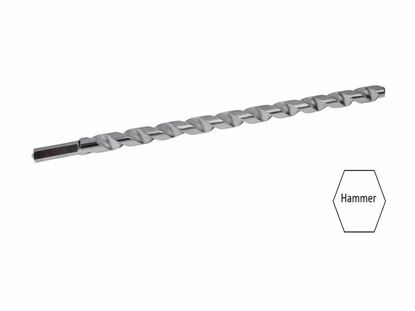 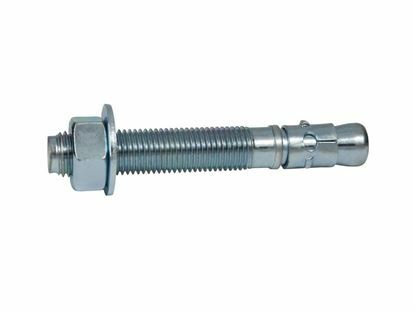 The American made 1-1/4" x 12" Hot-Dipped Galvanized Thunderstud Anchor (5 pcs per box) are used in solid concrete in an outdoor wet environment. 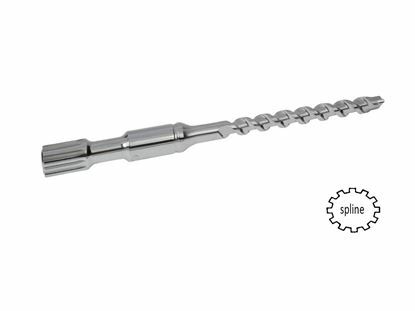 All orders ship immediately for delivery in 1 to 3 days. 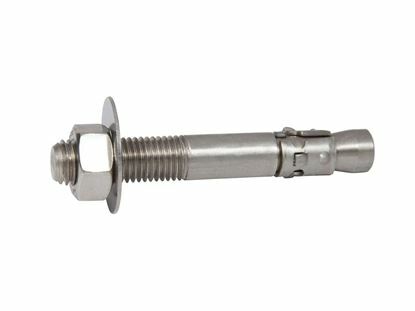 Minimum edge distance is 6-1/4"
The hole can be drilled while the fixture is in place. 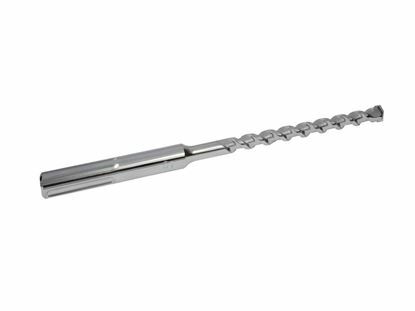 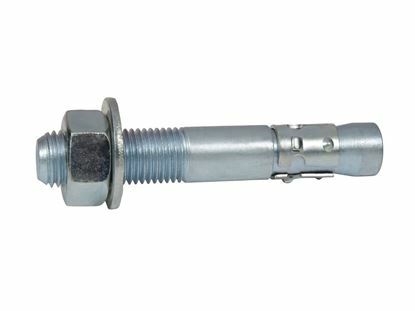 The minimum hole in the fixture for the 1-1/4" x 12" (twelve inches) Hot-Dipped Galvanized Thunderstud Wedge Anchor is 1-1/2". 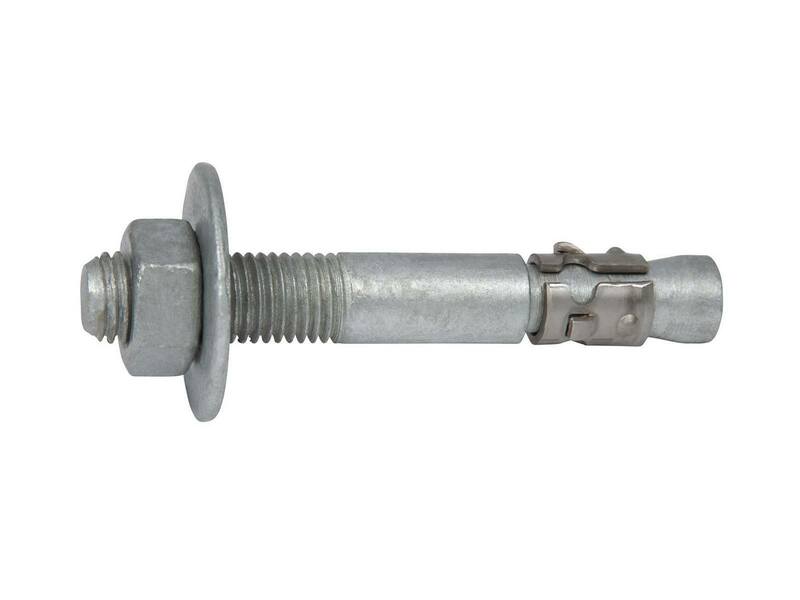 Put the nut and washer on the 1-1/4" x 12" (twelve inches) Hot-Dipped Galvanized Thunderstud Wedge Anchor, making sure the nut is on the last threads; this will protect the threads from damage when the wedge anchor is hammered into the hole and into the concrete.